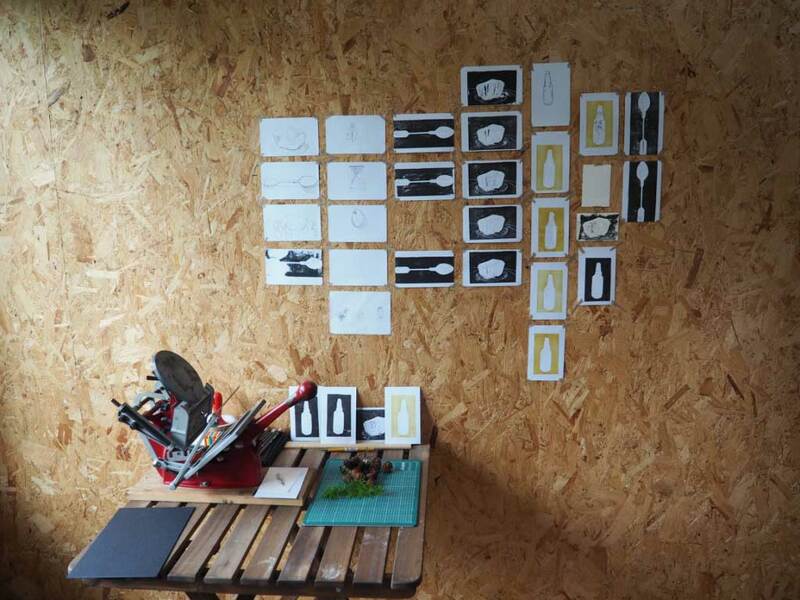 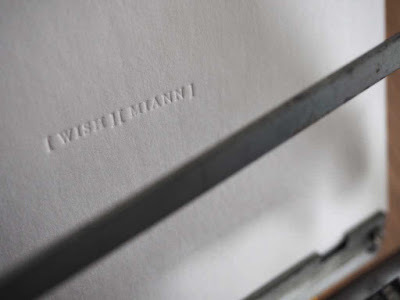 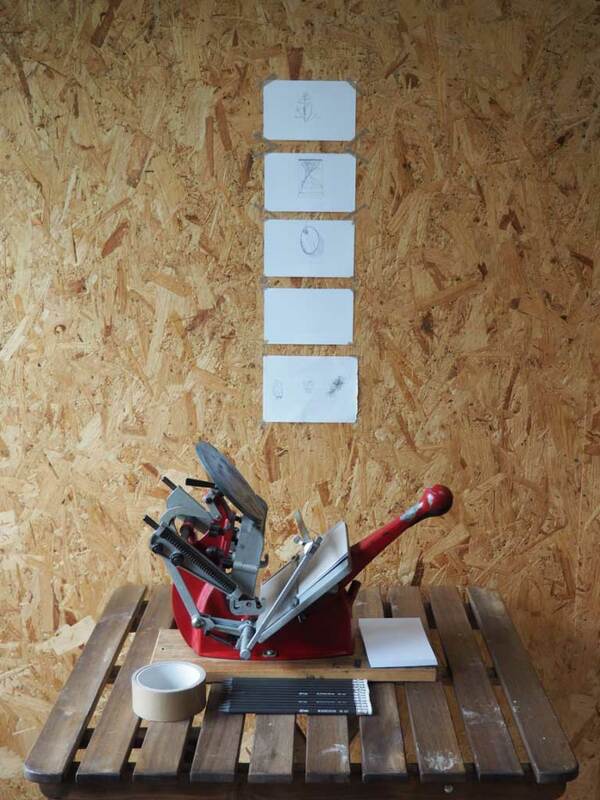 Ali Berardelli, Jen Deschenes and Clare Reynolds have been collaborating on a community project researching local folklore combining storytelling and music making with letterpress printmaking and illustrations in response to the unique Highland setting of Glen Nevis. 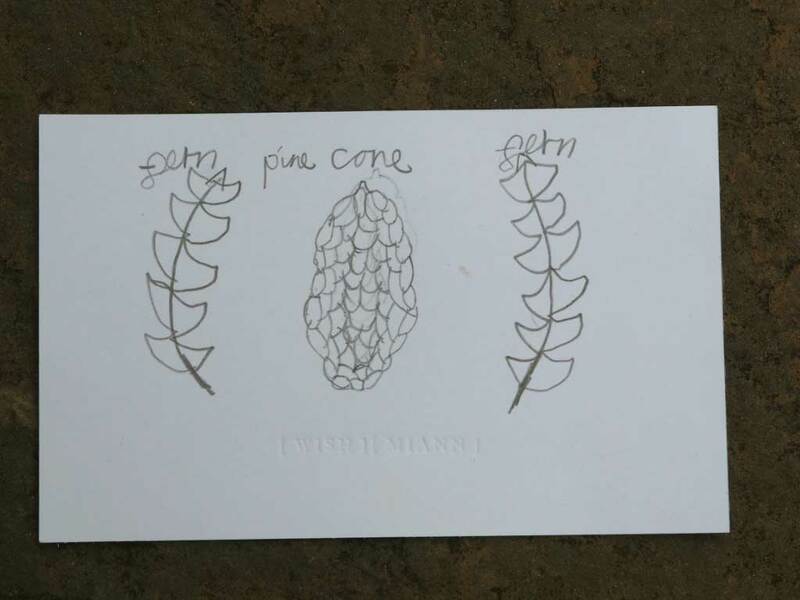 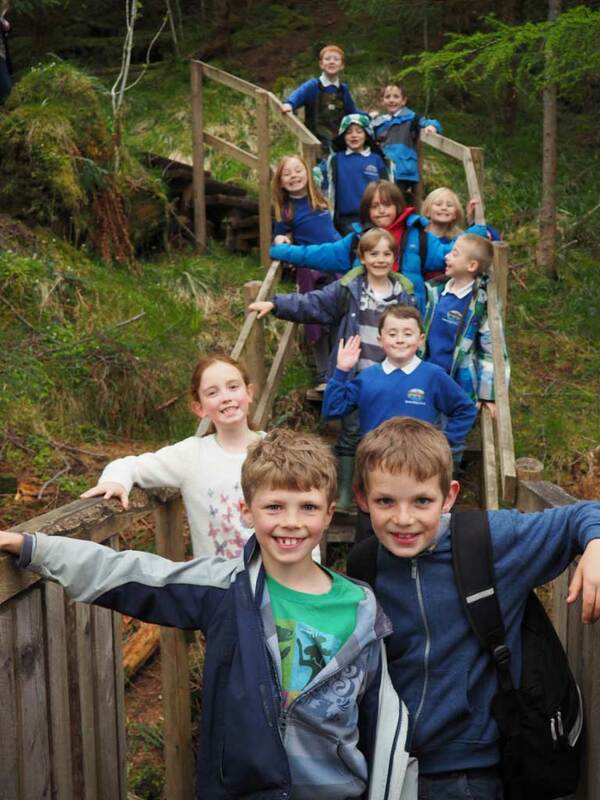 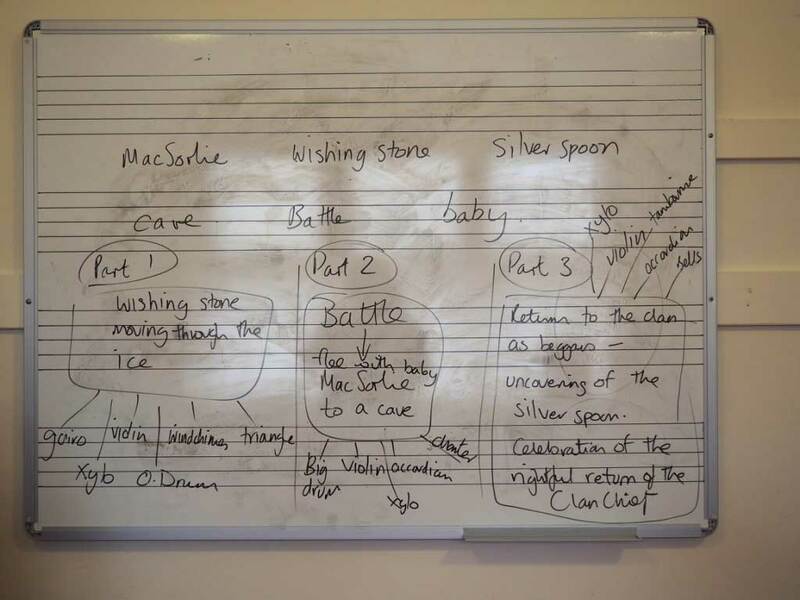 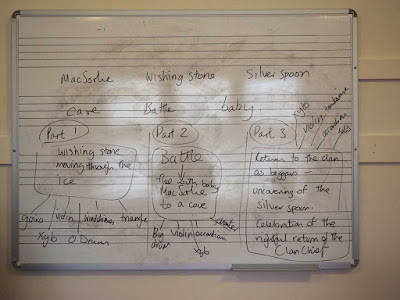 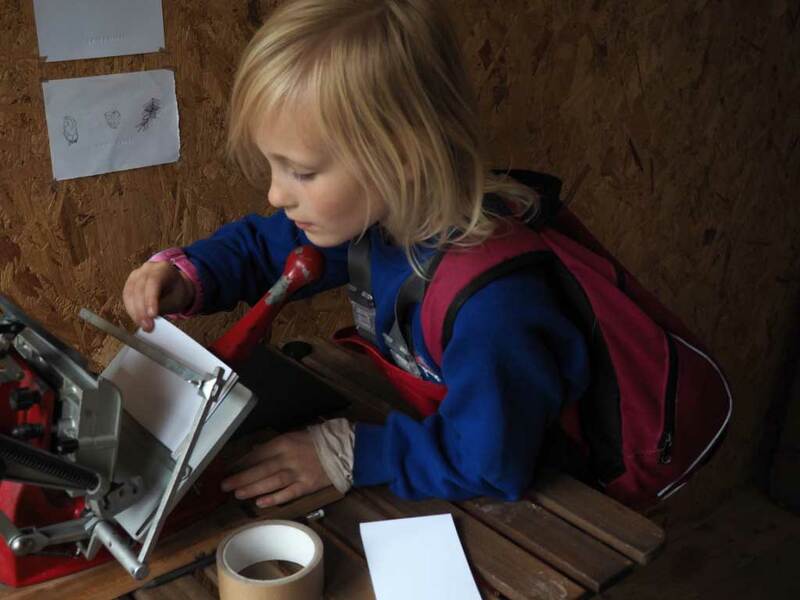 As part of this project the Primary 3 class from Spean Bridge Primary were invited to explore drawing, printing and storytelling through music. On the visit to Outlandia the children learnt about the Wishing Stone, a huge erratic boulder said to have special powers and were looking at charms and objects said to offer protection. 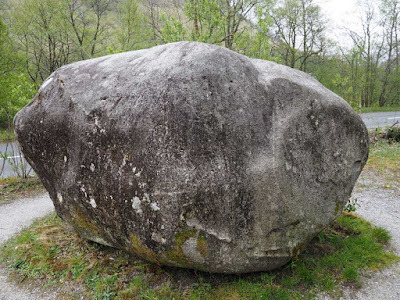 They also heard historic stories about people who lived in Glen Nevis; Iain MacSorlie and ‘A Silver Spoon’, Flora McDougall and ‘Ben Nevis Aerated Spring Water’, and a huge stone brought many miles by ice to rest on the floor of the Glen.